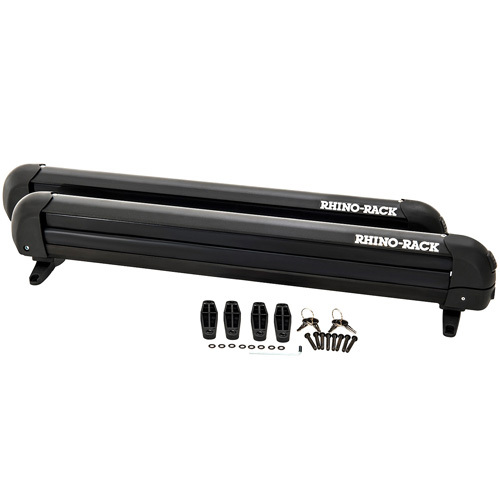 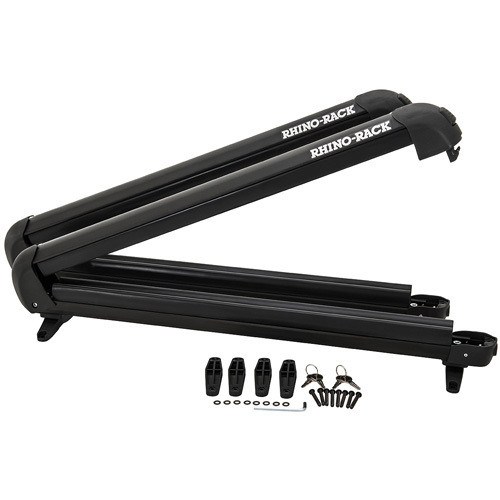 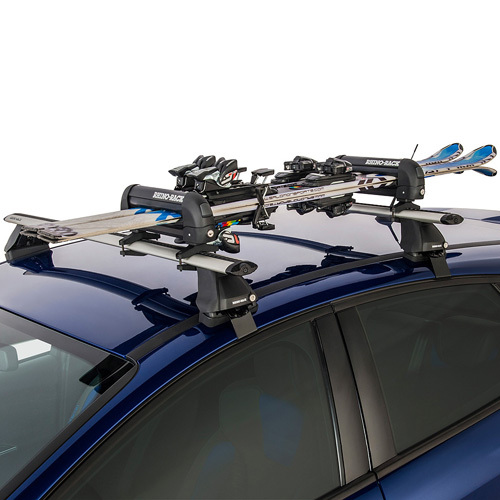 Internal Width: 27.56", External Width: 33.47"
The Rhino-Rack 576 Black Locking 6 Pair Ski Rack, 4 Snowboard Carrier, Fishing Rod Holder is versatile and practical. 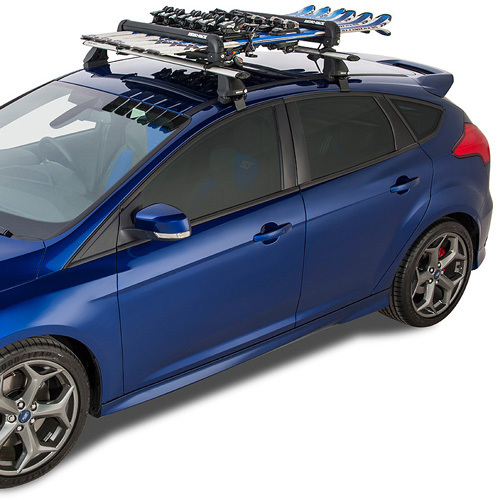 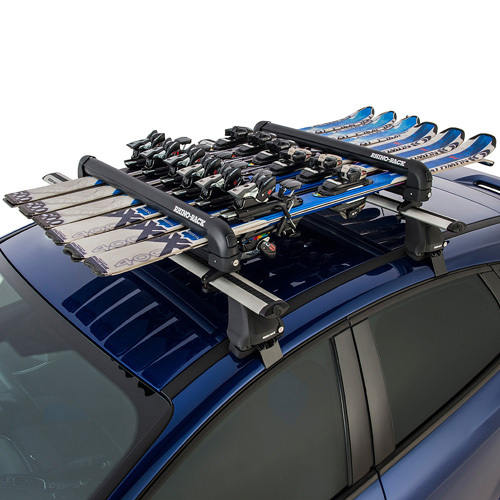 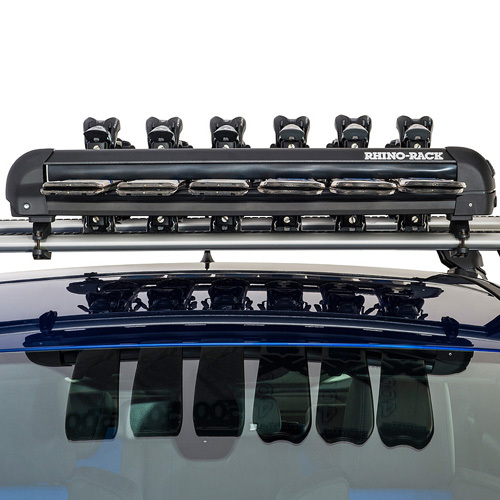 With the Rhino-Rack 576 6 Pair Ski Rack and 4 Snowboard Carrier you can transport 6 pairs of skis or 4 snowboards and leave room on your roof rack for other gear like bicycles, cargo boxes, kayaks, etc. 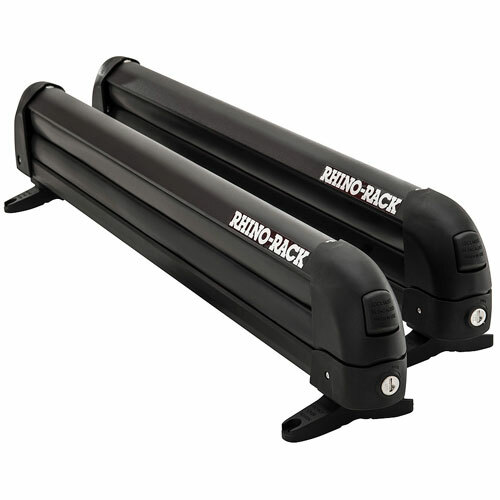 Thanks to the soft rubber jaws, the Rhino-Rack 576 is also ideal for carrying fishing rods, paddles, ski poles and water skis. 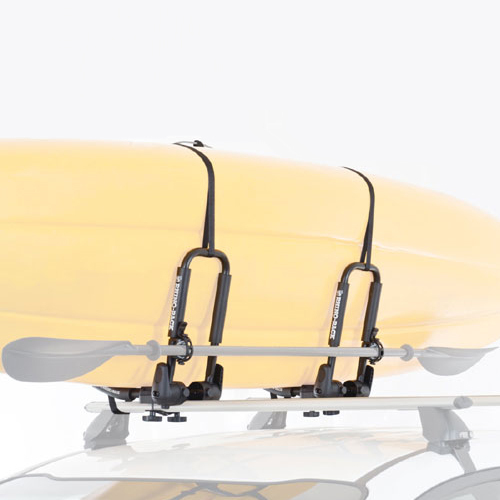 Oversize push buttons make opening and closing the carrier simple - even with your bulky gloves or mittens on. 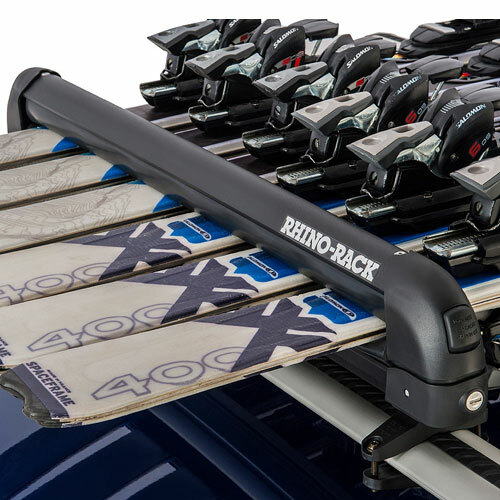 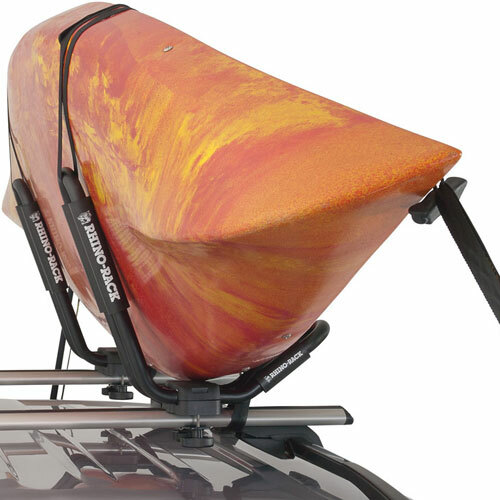 Rhino's ski carriers have a UV, rust, and mold protected finish for long lasting use. 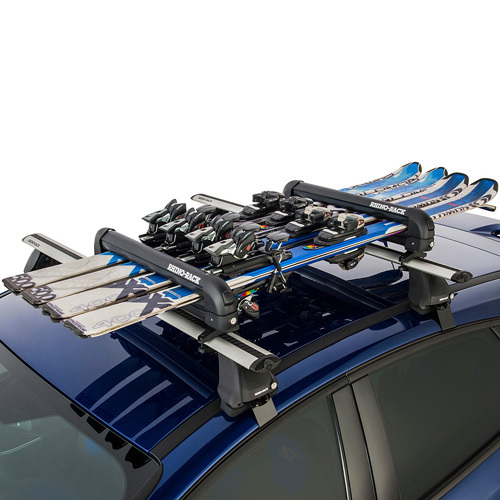 The Rhino-Rack 576 6 Pair Ski Rack or 4 Snowboard Carrier is equipped with universal mounting hardware to fit around most factory installed roof racks and into the t-slots of many popular aero bar racks including Rhino-Rack Aerobars, Thule AeroBlades, Whispbar Aerodynamic Crossbars and Malone Aerobars (crossbars NOT included).